House with great views and in a very quiet area. Very well located to know the island of Lanzarote. For lovers of surfing, there are 2 very close areas such as the fishing village of La Santa and Famara beach. Casa Chona is located in the municipality of Tinajo, where you can find supermarkets, restaurants, cafeterias, craft breweries, pharmacies, banks, etc., just 1.5 km away. A few kilometers away you can visit the famous Timanfaya National Park. Tinajo is a perfect place for hiking and mountain biking. 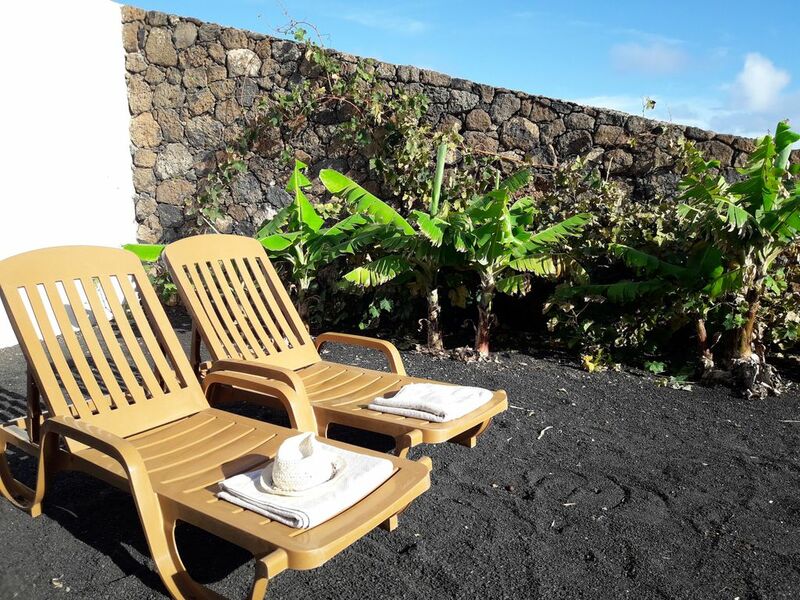 Casa Chona, has a garden area where you can enjoy stunning views of the island of La Graciosa as the Risco de Famara. We are also available to guests for any request or suggestion. Everything was very clean and in good conditions. I liked it a lot. Muchas gracias Til por los comentarios. Para nosotros es muy importante que los huéspedes se vayan contentos y con ganas de volver en otra ocasión o recomendar Casa Chona a los familiares y amigos. Un abrazo. Casa Chona is located in the town of La Costa within the municipality of Tinajo, and only 1.5 km. there is a pharmacy, bank, bars, cafeterias, craft brewery, restaurant, supermarkets, pizzeria, etc. And only 4 km. It has the coastal town of La Santa, where you can enjoy surfing or just take a dip in the village slipway.